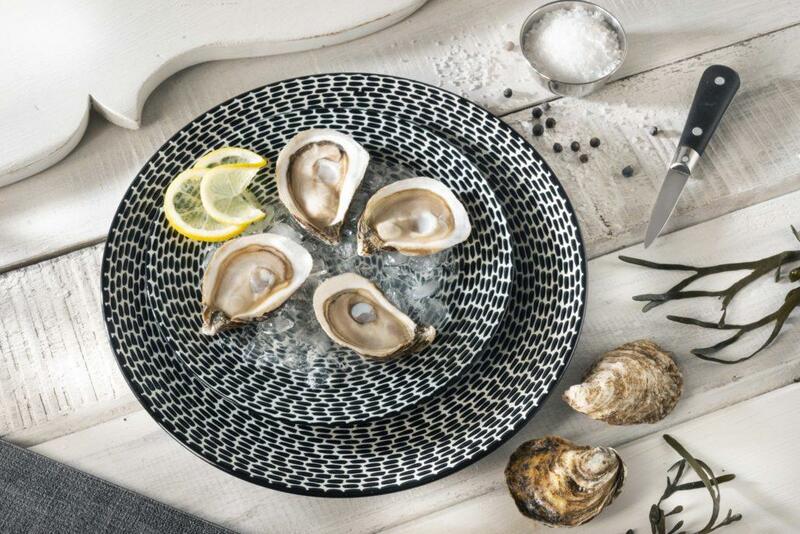 Only the icy cold waters of New Brunswick, Canada could produce an oyster as pure and clean as the Mer Bleue Oyster. Throughout its five years of cultivation, in Winter as in Summer, this oyster waltzs to the rhythm of the delicately salty flows of the Atlantic Ocean, between the seabed & the carpet of frozen waves. It is then on the palate that Mer Bleue breaks the ice, revealing its voluptuous flesh and dancing in the mouth like a crazy algae – delicate & suggestive, like a sprig of sage (on a semi-salted butter). 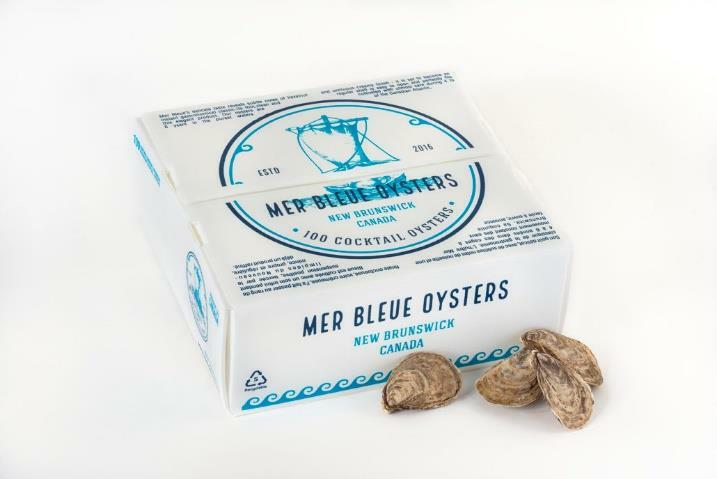 After one taste, customers will definitely agree that Mer Bleue Oyster is their new favorite oyster. With a clean and slightly briny taste and a sweet finish make this oyster a perfect item for any new oyster lover, and old timers too! Pair this oyster with a crisp beer or champagne. 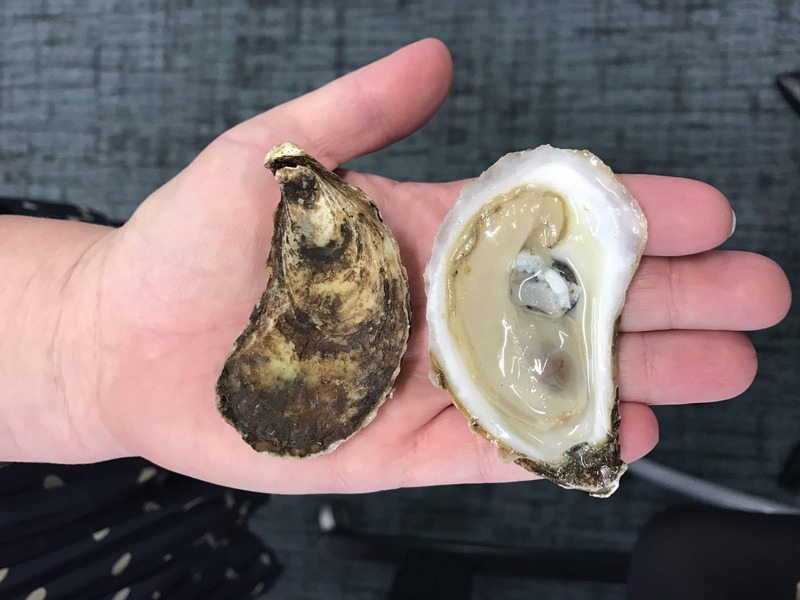 If customers are looking for a deep cupped oyster with a great meat ratio and delicious clean flavor, look no further – Mer Bleue Oyster is it! Suggest to customers to pair this beautiful oyster with your best champagne or beer. For a beautiful display, semi-empty the stylish wooden box where Mer Bleue Oysters are packed in and add plenty of ice all over. Make sure you have a few jars of Santa Monica Seafood Classic Cocktail Sauces available for customers to grab along with the oysters!